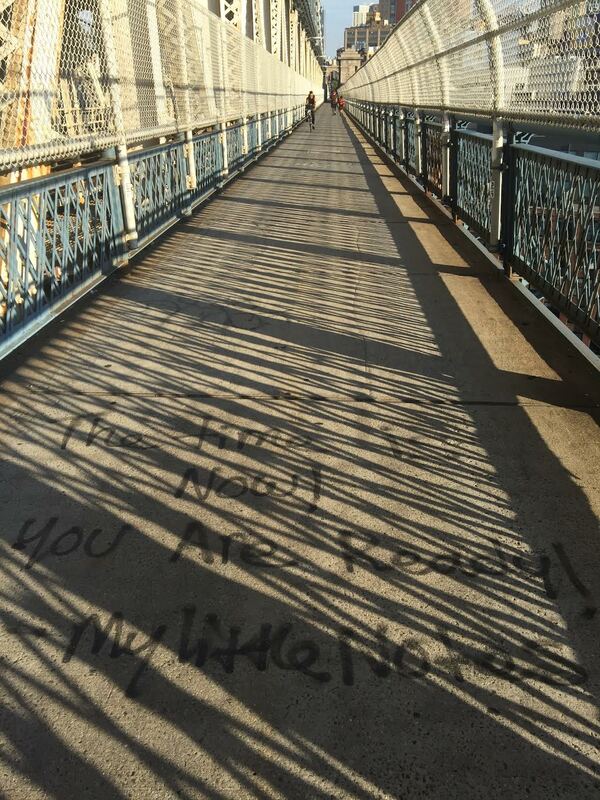 Walks on the Manhattan bridge are certainly therapeutic, especially when strangers leave inspirational notes like this one. The time is now! you are ready!